Here we have a very pretty ladies Rolex Oyster Perpetual 6694 for sale from 1972 and in very good condition. 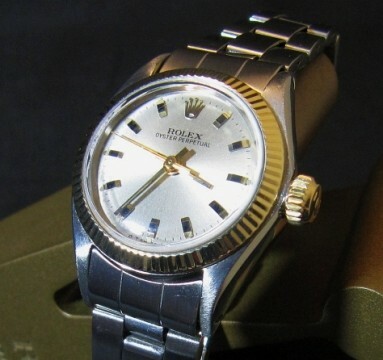 A 3.3m serial dating the watch to 1972 with case back stamped iv72 also it features a stainless steel oyster bracelet and stainless steel case with 18k gold Rolex bezel and crown. 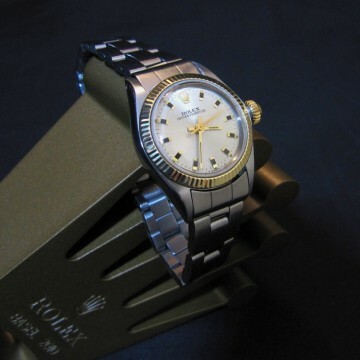 The dial is in excellent condition, silver in colour with gold markers and perfect tritium dots. It is the rarer sigma dial version. Keeping excellent time and comes with Rolex box – that perfect valentines gift! 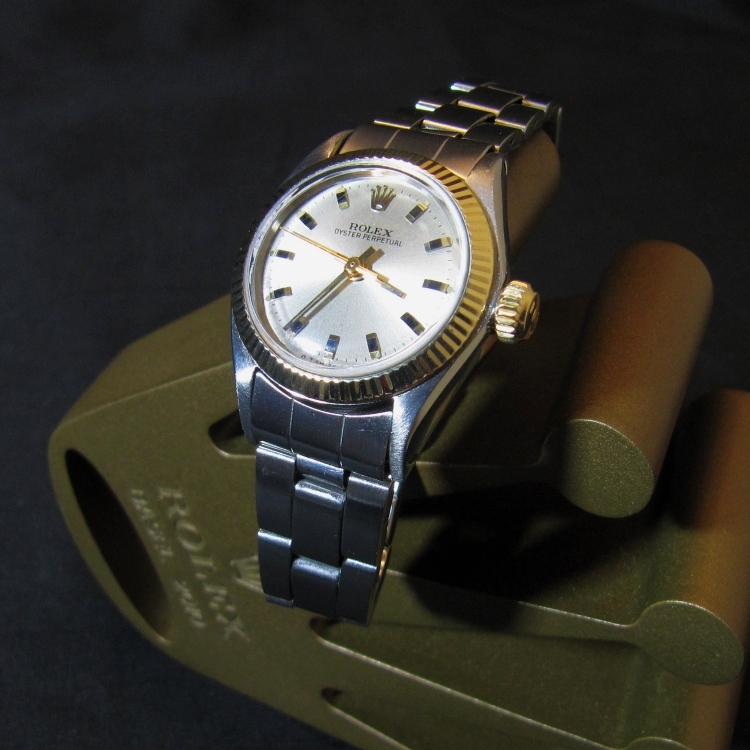 Dial & Hands: Beautiful silver sigma dial with gold markers and perfect tritium dots. Case & Caseback: steel case with gold bezel and crown. 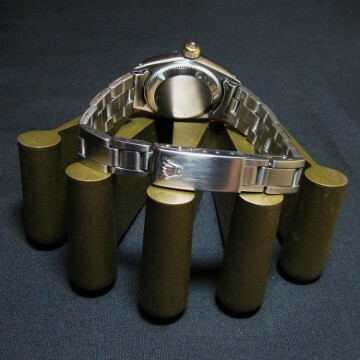 Bracelet: Comes on its original Rolex oyster bracelet. 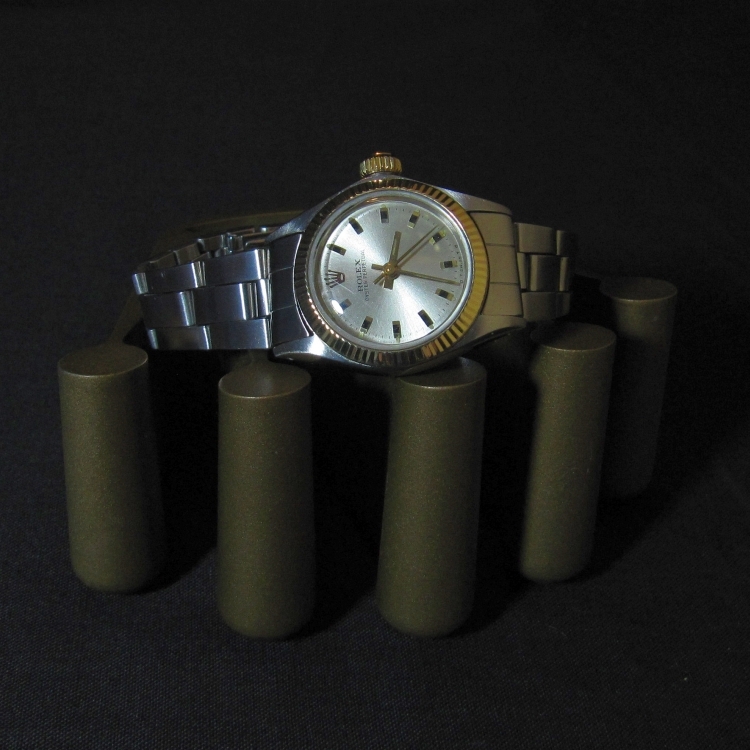 Movement: Original Rolex automatic Calibre 2030 movement.